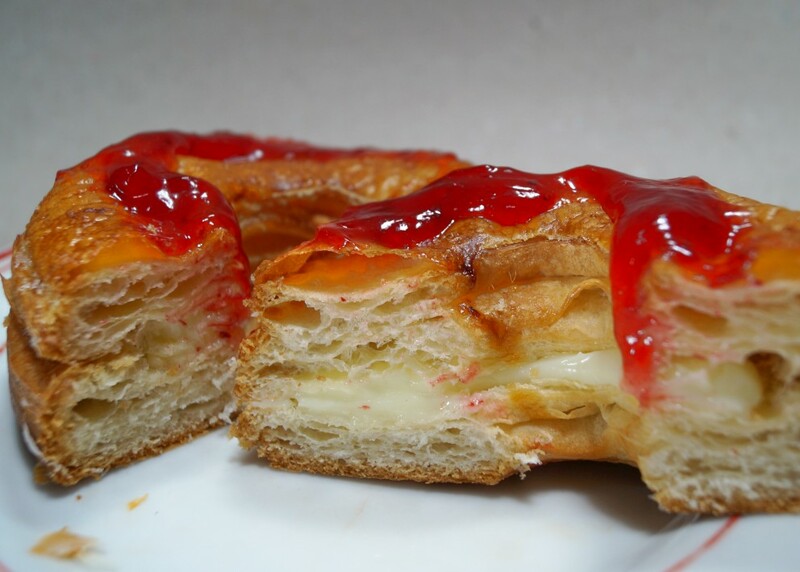 "After its launch on May 10, 2013, Cronut™ fans spanned the world from Berlin to Singapore, making it the most viral dessert item to date." You had me at "viral dessert." And the fact that I have a soft spot (I am maybe meaning this both figuratively and literally) for doughnuts and croissants sealed the deal for me to go on a quest to find out first-hand what food junkies have been raving about. Unfortunately, there is no branch of Dominique Ansel Bakery in the Philippines so I had to content myself with adaptations of this lovechild of the doughnut and croissant. No, I do not intend to go on a mad dash to hit every single one of the croissant-doughnut purveyor on this list. I am pretty much content with trying out what is within reach, and being based South of the Metro, within reach means Dunkin' Donuts and Krispy Kreme, both in SM Mall of Asia (MOA). There are no lines outside Dunkin' Donuts or Krispy Kreme and neither was out of stock so I can say that I had no problems getting the pastries I wanted. I did not even have to call in advance to reserve them. The relative ease with which I was able to achieve my goal is a far-cry from reports that other local purveyors of this pastry rapidly run out them, so if you are up for trying out other versions, perhaps Krispy Kreme and Dunkin' Donuts in SM MOA are good bets. Krispy Kreme's version is baked while Dunkin' Donut's version sticks to the original formula by being fried. I have never tasted the original so I really cannot make a learned comparison. In terms of taste and texture though, both versions, while being yummy in their own right, do not have the flakiness or delicate crunchiness that I expect from a good croissant. 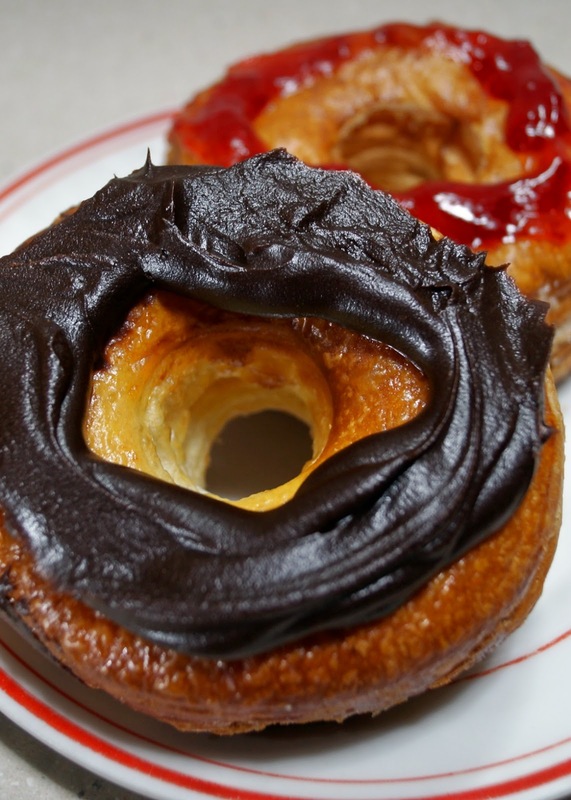 All in all, viral or no, I like the idea of a doughnut and a croissant "folded" into one. It's like having the best of both worlds, with your freshly brewed coffee. Now this makes me curious what the original Cronut must taste like. Hmm. 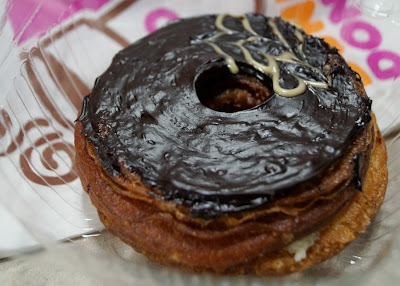 Might not be such a bad idea to go on that mad quest afterall, albeit if only to find the best Cronut™ Cousin in Manila.